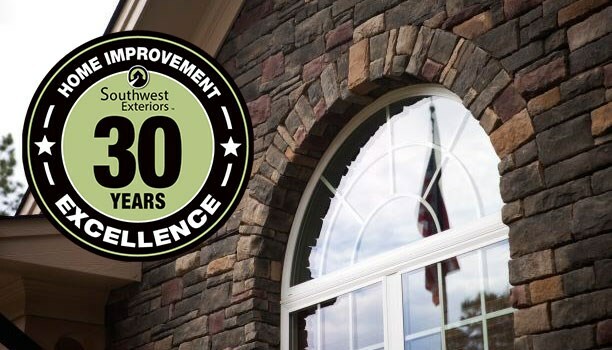 From replacement windows and siding to beautifying exterior surface coatings, Southwest Exteriors will deliver your perfect renovation solution. Southwest Exteriors has been serving the home remodeling needs of the San Antonio area since 1989. We are a remodeling company specializing in custom window, siding, and door replacement. Our core values are love and excellence, so we strive to deliver the ultimate client experience on every project with the best products, craftsmanship, experience, and warranty protections—and as an authorized Marvin Windows and Doors contractor, you can rest assured that we only use the best products in the industry. At Southwest Exteriors, we understand the frustrations that can mount while searching for quality exterior remodeling solutions and reliable technicians to install them. We're here to help you determine and address your project priorities, create a customized solution around them, and transform your home to give it the look you love coming home to. Every siding and window manufacturer will tell you proper installation is one of the most critical aspects of home improvement—it can mean the difference between years of excellent product performance or creating a construction nightmare. With nearly three decades of experience, we’re one of the most trusted and established home improvement companies in the area and have completed over 15,000 successful installations. Our team features design consultants, not just salespeople looking for a contract. We don’t simply glance at your home and make a high-pressure sales pitch. We study the architectural design of your home. We ask questions. Lots of them. So we can offer the best solution for your short and long term goals for your home. Beginning a remodeling project can be quite an undertaking, but you don’t have to do it alone. Our skilled technicians are ready to help you make an informed decision about which San Antonio home remodeling products and services can best serve your needs. Call us today or fill out our online contact form to request a free project consultation and quote.